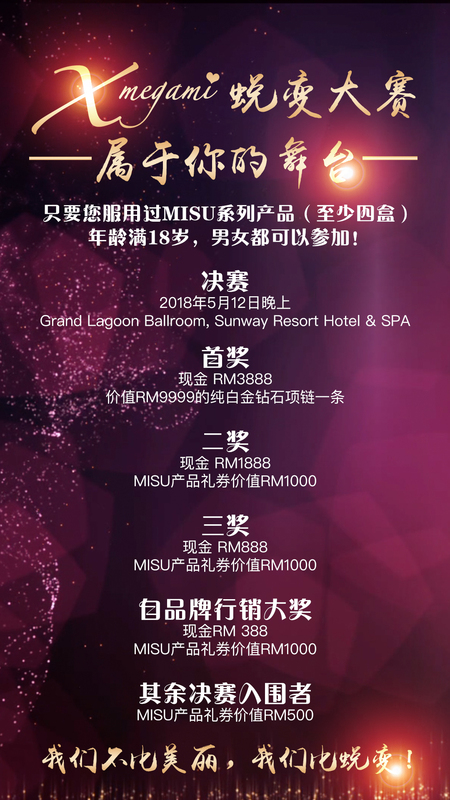 Since the introduction of the MISU series in November last year, we have continuously received a lot of witnesses to the successful transformation! Our transformation is not limited to slimming. 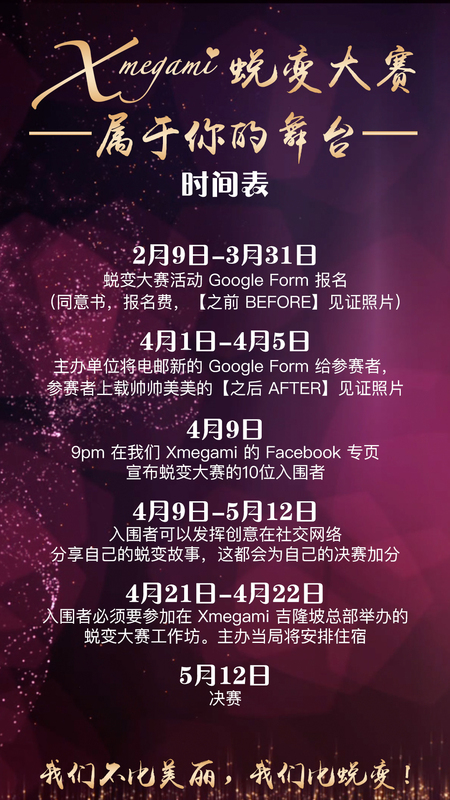 As long as you think there is a big difference before and after you join Xmegami, this contest is to let you showcase your transformation. 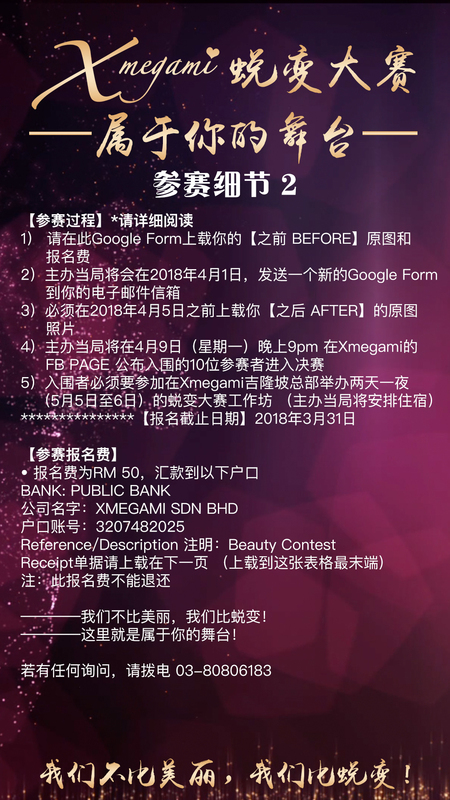 No matter if you are successful in losing weight, gaining weight, getting better skin, becoming beautiful, and your personal image had improved (confidence, independence and charisma), you can participate in this Xmegami contest! Let us witness your change and cheer for your new life! From April 9th (finalists announced) to May 12th (day of the contest), you can share your transformation story on social networks, showcasing your transformation every week. This will add to your final score, and the finalist with highest score for this section will be the winner for Brand Marketing Award. Just upload two original images (Front and Side) of your BEFORE and AFTER transformation. 4）The organiser will announce the shortlisted 10 finalists at the Xmegami FB PAGE at 9pm on Monday, April 9th. 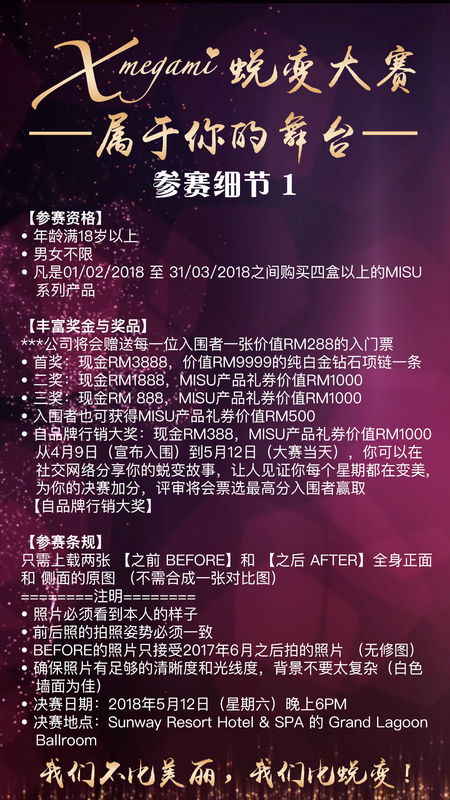 T&C: The registration fee is not refundable.